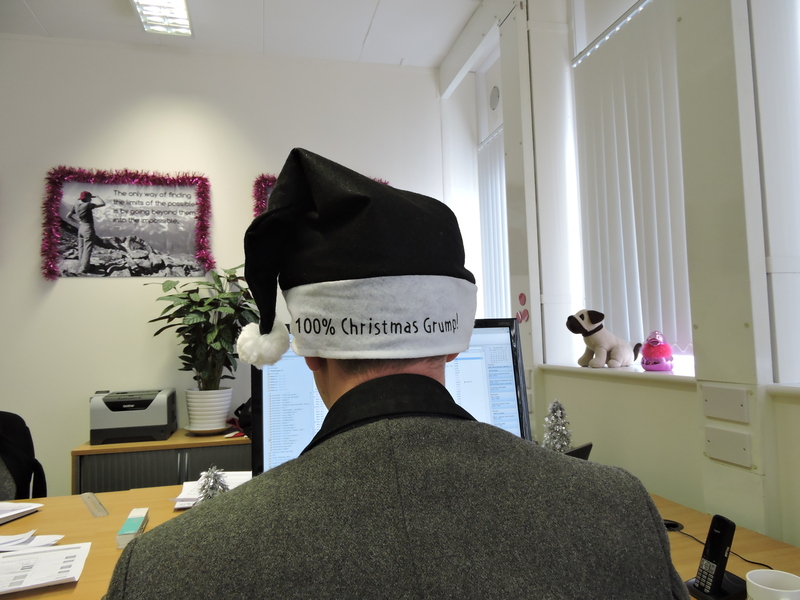 This morning we’ve been putting up our Christmas decorations in the office. It’s looking good, but Mike’s not feeling the Christmas Spirit yet, so we bought him a Christmas Hat to get him in the Christmas spirit! 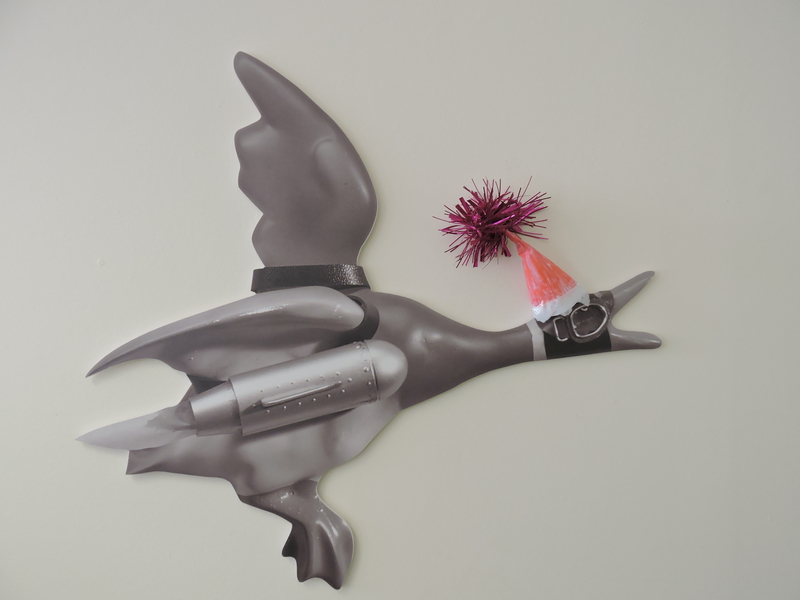 The rest of the decorations are looking good too.. even the duck’s got his Christmas hat on!